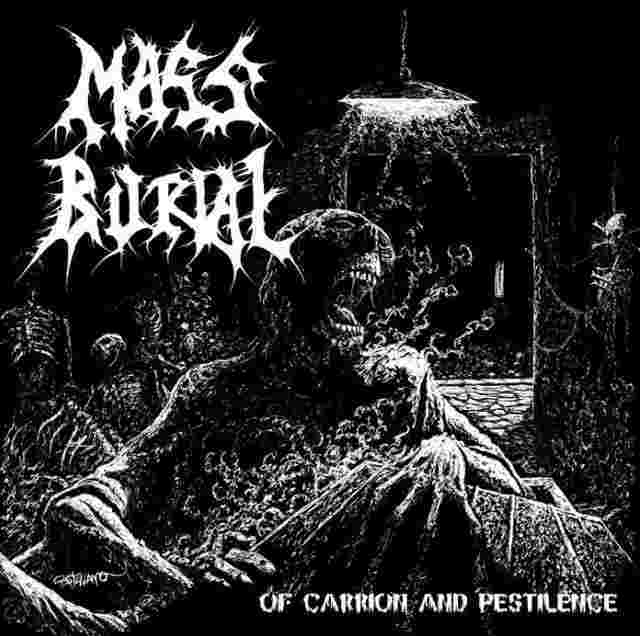 It is entirely possible that Mass Burial has heard of the Swedish death metal scene. And that would be a huge understatement. 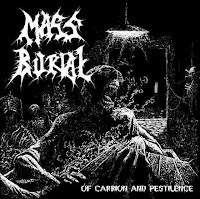 Mass Burial is dripping with the buzzsaw Swedish death metal riffing sound. The band does one hell of a job at re-capturing the glory that was the early days of Entomed, Dismember, and more. Which is okay, because I am a huge fan of that particular sound. Unfortunately there have been a lot of bands aping the style over the last few years and it is getting a little ridiculous. So a band that wants to play that style had better do something good with it in order to stand out. 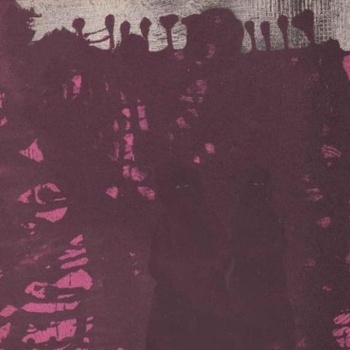 A lot of different things led me to check out Pinkish Black's self-titled debut. I've had a renewed interest in the areas where punk and metal overlap--specifically Killing Joke, Samhain, Amebix. The Alaric/Atriarch split introduced me to the sound of deathrock. And the record is on Handmade Birds, a label that gets a lot of underground attention for its adventurousness, but which I've sadly neglected. I am definitely not disappointed. From the two deathrock bands I've heard, I'm going to go out on a limb here and say that it sounds like the goth/punk equivalent of doom metal. But this band's sound has been categorized a lot of different ways, including krautrock, doom metal, avant-garde, and many more. You've probably heard of a dodecahedron before, usually as an arbitrarily-chosen word to poke fun at geometry. Because that's a funny subject. Most people don't know what it is, though. A dodecahedron is a 12-sided three-dimensional object, like a 12-sided die. Most people don't have a lot of use for that, unless they're tabletop gaming. Dodecahedron is also the name of a Dutch avant-garde black metal band. Most people don't have a lot of use for AGBM, as I'll call it for the rest of this review. But it is a field that is growing in popularity. 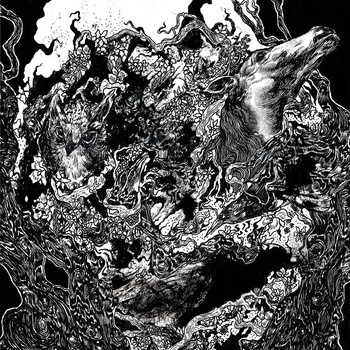 Deathspell Omega is an oft-cited name, and you will catch a whiff of that under the covers of their self-titled debut record. The band is an instrumental group combining elements of Intronaut, Devin Townsend, and Animals as Leaders, among others. Based on that sentence alone, you can probably decide whether you'll like this, but the latter comparison bears further explanation. Sectu are a Swedish death metal group who have only been around for a few years. Gerra will be their second album, and was released May 16. I was not familiar with the band prior to this, so I didn't really know what to expect. When I first put this record on, it took me a few tracks before I really started to get a feel for it. I'm tempted to stick "progressive" or "technical" somewhere in this group's genre label, as they incorporate odd tempo shifts and counter-intuitive riffs in several of their songs. The stuttering start-stop-start action in "Court of the Sloths" is a good example of these peculiarities. In addition, slow strings of twangy single-note guitar lines are sometimes layered over top of the heavier main riffs, creating a vaguely unsettling effect. This album is not just some sting of odd experiments though. The songs are consistently heavy and well played, with some more traditional death metal riffs reinforcing the overall structure. When the choppy timing comes into play, it reminds me of the herky-jerky motion of 1980's movie monsters. Somehow, the decidedly alien nature of its motion makes the horrific creature in front of you all the more disturbing. Germ is a weird one. Wish combines all manner of synthesized sounds: electronica, ambient, synth-pop, the strings and choirs of Viking metal, and the first few seconds of every Steve Miller song. It adds drums, occasional guitars, and clean or unearthly vocals to create a sound you've surely never heard before. Think Ace of Base getting in touch with their Swedish roots and then torturing Attila Csihar. When they throw in the occasional straight-up heavy metal lead, comparisons to the soundtrack of an 80's action movie present themselves. Last I checked, though, 80's action movies soundtracks and Ace of Base don't have blast beats and bloodcurdling screams. I hope you've been enjoying these excursions into the darker side of folk music. I always keep at least one of this type of record on the front burner, and I think there's a good chance you'll like them, too. Either way, let me know what non-metal style really gets you going. Along with 16 Horsepower, Jay Munly is considered one of the most important figures in establishing the "Denver sound" of alt-country/neofolk. And in many superficial ways, it's quite similar, but Munly & the Lupercalians sounds more like the Century Media to 16 Horsepower's Profound Lore, if you get my meaning. Which is not to say that it's bad. It's not as dark, or as honest, but it still has many redeeming qualities, not the least of which is the hook on opener "Scarewulf" or the Tom Waits-esque spoken word of closer "Wulf." Apparently this is the first in a planned series of connected concept albums centering around a folk story, so it also has some concept album baggage (like a handful of sucky songs). I give it 3 out of 5 stars, but there is enough positive here to make me want to check out some of Munly's earlier, non-Lupercalians work. For those of you reading the blog on a mobile device or feed-reader, you might want to know I've added three new polls to the site. These relate to the ratings and the style of review I write. I just want to assess what you think about the content, to decide whether I'm on the right track or I should make some changes around here. Since I've built up a moderate audience for a blog run almost entirely by one person (with the exception of the occasional guest review), I would assume that you like the way I do things. Or maybe you like it, except (fill in the blank). Feel free to comment on this post if you have anything to say about the topic. 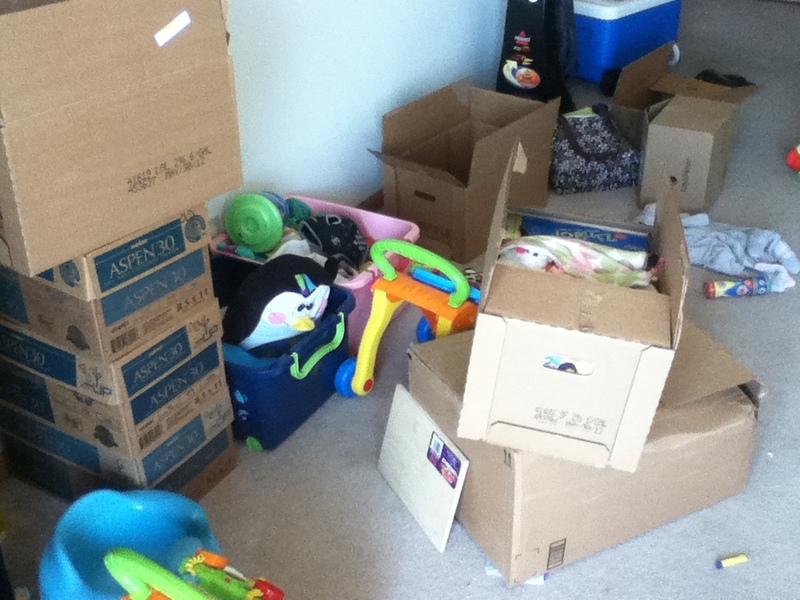 I'm going to be moving this week, and will have my Internet access cut off for at least a few days. I have content set to publish automatically until next Friday, and hopefully I will have access again by that time. In the meantime, I won't be able to comment, and I won't be able to inform labels/promoters when the reviews are up. P.S. I used to work for a moving company, and I most definitely did not pack that beat-up looking box in the picture. The whole female-fronted hard rock / metal thing is getting to be a competitive field. With bands like The Devil's Blood and Christian Mistress getting huge press and rave reviews, not to mention a notable touring gig for the former, it's tough to ignore this reemerging phenomenon. After wowing us with Christian Mistress, Relapse has presented us with Royal Thunder, a band from the fertile ground of Georgia. I admit I am a bit of a sucker for this kind of thing. Or maybe the quality of the releases really is as high as I think it is. Either way, I'm digging CVI. It's a close call, but I don't think Royal Thunder qualifies as metal. They're awesome anyway. I had to look up the name of the band, due mostly to curiosity. Apparently Holodomor is the term for an event in the Ukraine for a genocidal famine provoked by Ukrainian communist rulers. So, with that cheerful thought in mind, I went about listening to this EP which was suggested to me by Full Metal Attorney. This is one filthy beast of an EP. I have a feeling that the reason it is only an EP instead of a full album is due to the absolute insanity of the five tracks that are here. They do not get much more bestial than this. 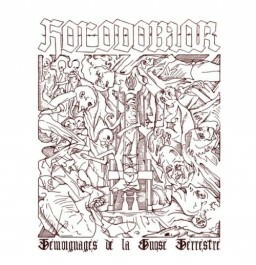 Holodomor easily stands up next to other blackened death/thrash metal bands like Angelcorpse, Bestial Warlust, Gospel of the Horns, and the first few Deströyer 666 albums. Their name is Pilgrim. Misery Wizard is the name of their first full-length album. Do I need to go into any detail into what they sound like? You can guess well enough. I'll just move on to some of the more interesting details. The Rhode Islanders are spectacularly heavy on record. Curiously, the vocals are the only element of their sound that isn't given a clean production; it could be that they were recorded live in the same room as the rest of the music, or at least that's how it sounds. Speaking of vocals, they are often dramatic, occasionally howled, and vaguely reminiscent of Volbeat's Michael Poulsen. I prefer to drink my beer out of a can. Cans are metal. I don't really need any other reason. So I was excited to see that a brewery out of Lincoln, Nebraska was using cans. 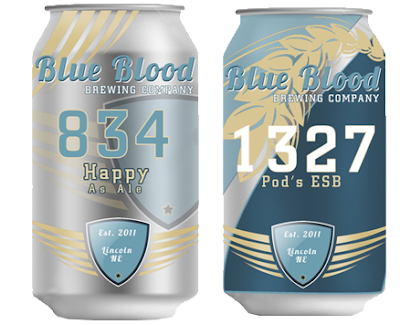 Blue Blood Brewing Company started up last year. The section of their web site that explains their background is "coming soon," so I can't really tell you much more than that. Except that I can practically see the place from the apartment where I've been living the last 6 months (until later this week). Seriously, as the crow flies, this would be a five minute walk, if that. They currently produce two brews, 834 Happy as Ale (4.6% ABV / 35 IBU) and 1327 Pod's ESB (5.6% ABV / 37 IBU). These are, obviously, both ales. The 834 has a brighter, hoppy flavor (hops grown in Nebraska), but the ESB is much stronger. They are both very easy drinking, which seems to go well with the brewery's name. It's working-class stuff, but its character is of the little-publicized favorite of the local working folk rather than the mass-produced garbage of the masses who don't know any better. It is a bit more expensive than working-class garbage, at about $8 for a 6-pack of 12-ounce cans, but it's worth it. The Verdict: Rather than trying something fancy, they've decided to just do the simple stuff, but do it well. That's to be respected. I give them both 3.5 out of 5 stars. When they get better-established, I can't wait to see how they experiment. When I described the concept of a split to my wife, she was flabbergasted. For the kind of music most people are aware of, it doesn't make any kind of sense. The artist always has some kind of deep pockets backing them, so they don't need to band together with another artist to fund some minor release. With the increasing affordability of studio time and the ease of web-based distribution, the practical, affordability reasons for split releases have all but disappeared. Yet they are a deeply-ingrained part of the extreme music landscape. The fan cross-pollination and creative collaborations are still staples, and, it must be admitted, there's still a sort of underground cred that goes along with it. Alaric is, apparently, a deathrock band. I've heard the term before, but don't know anything about this particular branch of punk music. Their sound is very bass-oriented, with guitars not too far from those of Negative Plane or Occultation. There's also a strong Pink Floyd vibe here, and I'm calling to mind a few things from the soundtrack to The Crow, where this would have fit nicely. The Alaric side of the split begins mostly in the same vibe, but the psychedelic aspect is diminished, replaced by metal. The balance of the split goes into some seriously awesome doom/post-black metal, so the whole thing is a gradual transition that really works well. I give it 4 out of 5 stars. Women in metal don't get as much respect as they deserve. They don't hit the drums hard enough. They can't growl. So go the usual criticisms. Canadian band Mares of Thrace seems like it was formed precisely to destroy such notions. Not only is it an all-female band, but they've handicapped themselves from the get-go, operating as a two-piece of just drums and guitar. They create far more racket than any two people have a right to. They use their tools to lay down largely Remission -inspired riffs, the occasional punk rhythm, and ferocious wildcat snarls. It's also barely produced, with no noticeable overdubs and very little electronic accompaniment, as if to emphasize the point further: The ladies can play. Killing Joke is a legendary band, hardly in need of any introductions. Nevertheless, I haven't made myself familiar with their discography. The only one of their records I've heard was 2006's Hosannas from the Basement of Hell . But I liked that record quite a bit, so when I happened across their new record MMXII, I thought I'd try it out. And it's quite a bit different. Comparatively, Hosannas is much further into industrial metal territory, while MMXII is a lot more post-punk, with an infusion of 80's style synth-pop. I'm not ordinarily big on any kind of punk, but the synth-pop spin on heavy music--well, that's a bit of a guilty pleasure for me. I've been talking a lot lately about the names that bands choose to define themselves. There simply is no better-named band than Diablo Swing Orchestra . It's perfect because they sound exactly like a band with that name should sound. Instantly, you can understand their attitude and their musical approach. You can Google it easily. You can remember it. And it's awesome. Likewise, their third LP has a perfect name. Pandora's Piñata is of course a humorous spin on Pandora's Box, suggesting all the sweet candy that will come pouring out of the album, as well as the strong Latin element of the music. Nate Hall of U.S. Christmas is the latest musician from Neurot to go for the stripped-down, folk singer-songwriter approach. I have loved every album of this kind (Steve Von Till moreso than Scott Kelly ), and A Great River is no exception. At heart, this is just that kind of album, although it's ornamented somewhat. The vocals (which have more than a little Bob Dylan in them) have plenty of reverb. In fact, just about every sound on this has been put through some reverb, giving it a somewhat eerie aspect. Combined with the repetition of the acoustic rhythm strumming, and the drawn-out distorted chords, it gives the record a psychedelic twist to dark Americana. If you ask the average person to rattle off the names of five classic metal bands, you can be reasonably certain Iron Maiden will be one of them. The band is almost universally beloved by metalheads. Their output from The Number of the Beast through Seventh Son of a Seventh Son is considered one of metal’s few sacred cows. I grew up in a very small town without any friends who knew more about metal than I did. first learned of the band from a book. See, before Wikipedia, Allmusic, and Metal Archives, there were actually books that listed thousands of albums and had ratings accompanied by short descriptions of the bands. My mom had one of these, and I pored over it looking for metal bands. I never got around to getting any of their albums for a long time, and finally got into the band while in law school. Since I came to them relatively later in life (compared to most metalheads), it should mean something when I say their output from 1982 through 1988 absolutely deserves that sacred cow status. But they are not without their faults. Tomorrow, May 12, marks the 20th anniversary of Fear of the Dark. The record follows No Prayer for the Dying, and between the two of them they constitute what is considered the low point of the Bruce Dickinson years. It’s easy to dismiss a bad record as the result of a bad lineup, but that excuse can’t be applied here as Adrian Smith was not a primary songwriter, nor is the rhythm guitar a serious problem. What makes a good metal band name? What makes a bad one? What does it matter? Like it or not, a band's image matters. How they dress, how they interview, the album art they use, all of these are part of what is, in a sense, a marketing package. It's not quite so crass as pure marketing, in the same way that music is not precisely a "product" as much as it is "art," but at the core the two are hard to differentiate. Perhaps the single most important element of that identity is the band's name. After all, you can't talk about a band without mentioning their name, and given the way that you find out about metal bands, their name is the first thing you'll know about them. Not their sound, their philosophy, or anything else, but their name. According to a recent poll on this site, at least 78% of you admit the name is important. Some of the rest of you are lying to yourselves. A full 11% will most likely avoid a band with a stupid name, unless you are thoroughly convinced of their excellence. Have I mentioned that, so far, every band or label that's contacted me has been reviewed on the site? Well, except for the occasional item that doesn't come anywhere near what this blog usually covers. So far, I've been able to keep that up. Obviously, that sometimes entails giving a brief review and lumping two or three albums together. Here are a demo and two EPs that I've been asked to review. Hailing from Romania of all places, Void Forger play a tough-to-define extreme metal style that's sort of a crusty blackened sludge/doom. Short of defining it any more closely, I'll just say it should appeal to fans of Withered, Tombs, or (in a stretch) Dragged into Sunlight. It's heavy, and there's plenty of experimentation in how they compose their riffs. This led to the incredible "Relief"—which contains what may be my favorite riff of the year. If they can replicate that success, Void Forger is bound to be a name you'll hear a lot in the future. I give the Ruined Demo 4.5 out of 5 stars. By now, that left hand path is looking more like an eight-lane highway. There are probably more Swe-death bands outside Sweden than inside. That's not without good reason. The buzzsaw guitar tone is irresistible. When we last heard from Acephalix, the San Francisco foursome dropped Interminable Night , a compilation that showcased their gradual transition from crust to Swe-death. 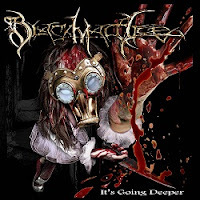 Their sophomore full-length, Deathless Master, continues that trend. Any evidence of a crust influence is virtually gone. My favorite exchange in the Mel Brooks film Robin Hood - Men in Tights is where Prince John is talking to the witch Latrine, and he inquires about her name. She says she changed it. Incredulous, he asks, "You changed it to Latrine?" She responds, "It used to be Shithouse." And so Black Mad Lice used to be Black Pocket Lice. As death metal band names go, it's still not that threatening, but at least it doesn't sound like some kind of weird Tamagotchi spinoff. For their first release under the new moniker, they are going deeper, presumably deeper into your scalp to avoid the effects of prescription shampoo. Every city of significance has its own hometown band, that people love more than it deserves. For Lincoln, that's Dirtfedd. I know, not great. Each city has its own hometown brewery. We have Empyrean Brewing Co. Again, not great. I've never been particularly impressed by anything they've brewed, although none of it has been particularly disappointing either. Super Nova is Empyrean's summer festival ale. Like all Empyrean brews, it comes in a 6-pack of 12 ounce bottles for about $7. Like all Empyrean brews, it's just OK. 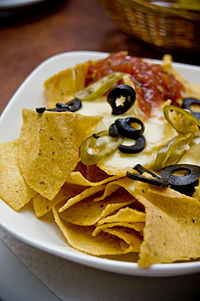 It has that summery flavor, all mild and somewhat sweet with a hint of citrus, but nothing really special about it. The Verdict: We could really use a better brewery. I give Super Nova 3 out of 5 stars. Every now and again I'll get an album in some genre I'm not terribly familiar with. Grindcore, for instance, as in the case of March into Perdition by Croatia's Gods of Chaos. When I get these albums, I'm afraid I won't have much to say, or I'll miss some connection that's obvious to fans of the genre and come across as ill-informed as I actually am. So maybe this will come out sounding stupid. But it seems to me Gods of Chaos have created something unique here, combining grindcore with a strong flavor of modern US black metal. Jus Oborn totally pulls off the silk scarf. Wearing it, the Electric Wizard mastermind looks like an eccentric cult leader from the 1960's or a Satanic bon vivant. It doesn't hurt that he's surrounded by people who look like Anton LaVey, Jinx Dawson, and a dude that's going to do the hands-on part of a human sacrifice. They look like some kind of comic book supervillain ensemble. 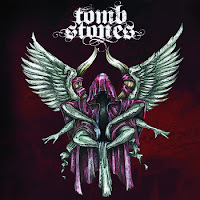 In a promo photo, Norway's Tombstones is apparently trying to pull of the same thing. One of them--presumably frontman Bjørn-Viggo Godtland--is trying the silk scarf look. But he comes off like he just disembarked from his yacht. And the other two look like unremarkable, regular metal dudes. I don't ordinarily bring up image, but I mention this comparison for a reason. I know, the Metal Briefs series is supposed to be three albums with some connection. Here, it's a tenuous one: they're all short. But I wanted to get these out there. Occasionally I dip into the weird world of drone. I've never come away from it being blown away, as some fans of Sunn O))) seem to do, but I am intrigued by their use of sound and subtlety. The Sun Through a Telescope is a one-man drone/ambient band out of Canada, and is clearly bent on experimentation. Three-song single / four-song EP Summer Darkyard has two goals: to show you weird sounds, and make you listen to disturbing lyrics. The first cut is the most interesting, being extremely minimal but with genuinely frightening distorted vocals. The second cut is similar, but with a more prophetic lyrical bent rather than word association. The third one, oddly enough, uses Auto-tune, and given the violent lyrics it's rather strange. It certainly is interesting, but I'm still not sure I get it, and the focus on lyrics isn't helping any. I give it 2 out of 5 stars. 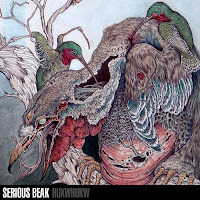 Josh Haun of That's How Kids Die recently reviewed the debut album of Wildernessking, The Writing of Gods in the Sand, in what is probably the most rave review I've ever read on his site. Islander at No Clean Singing also had high praise for the record. It must be noted that this is a debut from a band out of South Africa that formed a scant two years ago by guys who weren't exactly experienced musicians. Everything about that says this should be very rough around the edges. Yet, this is amazingly well-developed, mature material that scratches just about every black metal itch I could have.